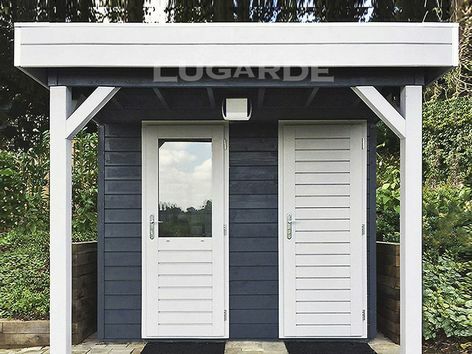 The Lugarde Prima Harvey is a great summerhouse for storage use.It comprises two rooms each with separate front entrance door. The canopy provides welcome shelter when going in and out. 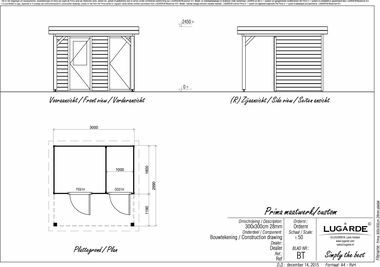 Approximate overall size 3m x 3m in 28 mm log thickness. The standard package includes 1 x PE61H single door and 1 x DD01H soild single door. The canopy measures 3m x 1.2m and includes 2 pine posts.